As far as rivalries go, one of the few true rivalries that seems to exist in Canada is that of Toronto versus the rest of the country. Travel around Canada a little bit and either mention that you’re from Toronto or that you like Toronto and you’ll undoubtedly be met with more than a few grumbles and/or rolls of the eyes. Hell, this disdain for all things Toronto even served as the inspiration for the fittingly titled 2007 documentary film Let’s All Hate Toronto. Fortunately for Torontonians, there is no shortage of gifted tattoo artists who are doing their utmost best to make their fair city more beautiful. Should you need further proof of such a claim, I would recommend checking out this article/interview on nine artists who are worth knowing about in Toronto. So, there you have it: one Canadian’s perspective on Toronto and their tattoo scene. 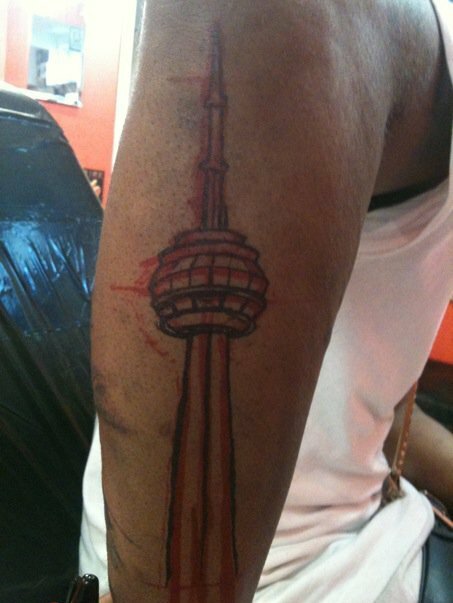 Hopefully this will be enough to encourage those of you who’ve never visited Toronto to stop by, check out the city and get a tattoo. Despite its looks, Toronto actually does have a lot going for it. Just don’t go in the winter.